British Airways Chairman and CEO, Alex Cruz, is speaking at a breakfast organised by one of our readers for the trade group UK Israel Business. It takes place at 8am on Wednesday 25th April in the City. Non-members of UK Israel Business are welcome to come along – you can buy tickets here for £30 + VAT. I know what you’re thinking …. you thought it already had. No, it was still plugging away as ‘the charge card that time forgot’. We used to mention it occasionally on Head for Points but at some point in the last 18 months they withdrew all of their travel rewards. The UK and Irish consumer card is being closed imminently. Diners Club in the UK will still exist, for now, as a corporate charge card. Thanks to Neil for this. 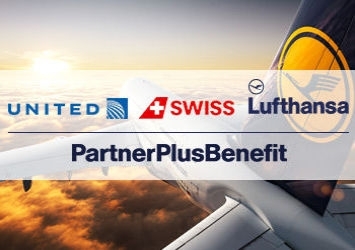 PartnerPlusBenefit is the Star Alliance version of the British Airways On Business scheme. It gives points to businesses – on top of the air miles given to travellers – when their employees fly. My last background article is here. Until 30th April, flights booked and flown from the UK and Ireland to Vienna, Brussels, Frankfurt, Munich, Zurich or Geneva will earn double BenefitPoints. Double BenefitPoints can also be earned for any Eurowings direct flight to Berlin-Tegel, Cologne, Dusseldorf, Hamburg, Hannover, Munich, Salzburg, Stuttgart and Vienna. For readers in Scotland, any Lufthansa Group flights booked and flown in Ap‍ril from Glasgow to Frankfurt, Munich or Dusseldorf will earn TRIPLE BenefitPoints. A bit of nostalgia. Some may be too young to remember Diners Club as the first BA card with which you could collect Air Miles. I remember sending off film to Truprint and receiving paper AirMiles vouchers along with the photos a week or so later- trouble is I can’t remember when that was………… 🙂 . I believe that Air Miles started in about April 1988. I had just finished doing a long commute which would have given lots of miles. But I did earn lots of glasses. I earned 100,000 miles, didn’t look at them for 3-5 years and then found expiry conditions had been introduced meanwhile. I hadn’t had any notification of new conditions. British Airways ( by then the program had moved to them in some way I also hadn’t been aware of) refused to budge and so all my hard won Air Miles were lost. I think that was the beginning of my being aware British Airways can be a sneaky company that does not honour commitments and changes the rules on people. It’s unfair I know…. In the period between paper vouchers and Avios, I had 48000 BA Miles – I was not travelling much, and fell foul of the ‘3 years no activity’ rule. The miles just disappeared from my account without any prior warning – I also realised that BA could be sneaky at that point. I then travelled extensively for 5-6 years, and I ensured that I travelled with ABBA where possible. I think that about 10% of my long haul was with BA over that period, so I think they lost more than the 48000 miles that they took from me! Yes I got my NatWest Gold Plus card and started collecting Avios with that and from Shell petrol stations in around 1988. I had a huge stock of mainly 2 Avios (interspersed with one 500 Avios and a few 100 Avios vouchers) paper vouchers in the drawer but finally sent them in to be turned in to electronic points when BA started its first attempts to render our hard collected points worthless. That’s easy Worzel…it was the good old days! Trust House Forte motorway services gave paper AM vouchers & Shell gave a 1 AM sticker for every gallon (sent to Crawley by registered post after you’d rung up and sorted out your booking) – lad at my local Shell garage said I was the only customer who collected them so he used to give dozens every time. CDG, BRU, AMS & Eurostar were 500 miles return. Happy days indeed! And came with access to a rather esoteric network of lounges, too. The St. George’s Club (old BA lounge) in T3, some Regus-type facility in the Queen’s Building and the Servisair lounge that used to be landside at Gatwick South were I think the only ones that I ever got to. It certainly was a great card to have in it’s day, I too remember paper Air Miles with Truprint! Having just checked..I still have a stack, as many others do as well I guess. Maybe at some significant anniversary, Avios might do something…maybe like a swap of some kind ? I swapped my paper miles for virtual miles some while ago. Cant remember how or when but it was quite painless. I did a paper for virtual swap in about 2009, but that was pre-Avios. I hand delivered mine. It was a cheque-sized bundle about 5 inches high making up just over 100,000. Was there an actual BA Diners Club card? 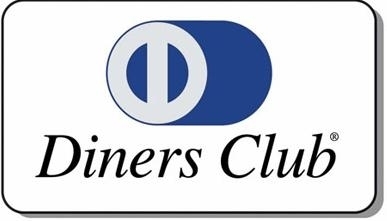 I remember in the early Internet days setting up either an AOL or Compuserve account for my boss to check news and scores, and asking him for a credit card which my memory (often wrong) says was a BA Diners Club. I’m guessing this would have been mid 90’s. Yes, that would be right. I had mine from maybe ’95 for 5 years or so. I think they changed the airline lounge rules, at which point I swapped to AMEX. The branding was quite prominent – a silver card with the 90s, very angular BA “swoosh” on it and “BRITISH AIRWAYS” across the top IIRC. My British Airways corporate charge card was a BA branded Diners Club card circa 2007-2011. Accepted pretty much nowhere and access to come obscure airport lounges. I’ve some unredeemed Sketchley paper air miles found in my fathers effects. Put them on Ebay – not a sniff !! Might frame them for posterity !! They changed it ~5 years ago from pretty much free access to specified lounges to £15 per visit and £50/year fee. The lounge network was not that great (infact, I seem to remember that Finnair had a co-branded card with them, despite no lounges in HEL accepting the card for access!). Really rather regretting not having stumped up and paid the extra for the BA morning flight which has just left 5 minutes early……. Think of the €200 (?) EU261 though! Chickens should never be counted. AF owe my partner about £700 for an involuntary downgrade based on 75% refund under EU regs for flight over 3500km. Their first play is that they will refund based on difference in cost of the longhaul sector only as there was no business class on original EDI-CDG sector. Despite it being their published policy to *pay 75% of sector fare paid and also provide additional compensation in form of a *voucher against a future flight, they are also refusing any voucher. My partner has disputed both points but since it took them over 5 weeks to get to their first response I guess we are in for the ‘longhaul’ and not much hope of a good outcome. Presumably though the delay is linked to the EXCDS upgrade… which means it’s not the airline’s fault and therefore no EU261 applies. Bit of a pot-luck at the moment to be honest as to which flights are affected. Surely it is a matter of getting what one pays for and not the cause in the case of an involuntary downgade? Otherwise it would be like signing a deal to buy a C class and turning up to take delivery only to be handed a top spec A class and £50 with apologies for lack of stock. Just seems so ridulous. My feeling is they will simply compare the business class fare to a very expensive Y fare, that my partner would never have purchased, to reduce their liability. And why publish a policy stating they will provide a flight voucher in addition to the refund if they are not going to honour it? Yes the law is that you get 75% of what you paid. There’s a lot of nonsense flying about about 75% of the difference but that’s not what EU regs says. OT – claiming missing Avios from FlyBe. I added my Avios.com membership number to a recent booking. Nothing appeared in my account. Checked the FlyBe site and it said they would be credited with 30 days, with an online form to be completed if they weren’t. Today I went to fill in the form, to be told I have left it too long as it is now more than 40 days (actually 42) since the last flight in the booking was flown. It seems there is a TEN DAY WINDOW, between 30 and 40 days of flying, to claim them if they are not awarded – due to FlyBe’s error, not mine. It’s in the lengthy T&Cs but not mentioned elsewhere, including on the claim form. Does anyone have prior experience of this? It seems totally unreasonable, completely out of keeping with normal practice elsewhere in the sector, and the T&Cs are so poorly worded that I don’t think anyone can have challenged them. On the other hand, it’s so few Avios I wonder whether it’s worth pursuing at all. Yes, that appears to be the case. You are not the first to spot this! Thanks for the confirmation. T&Cs say you “have up to 40 days after the flight” to claim. I’m sure if tested in law that wouldn’t hold up as you actually only have “up to 10 days between the 30th day after flying and the 40th day after flying”. Not worth making a fuss over, though – which I guess is why they get away with it. Yes, this has been commented on several times. Very poor arrangement, and they are very good at not awarding points. I’ve had several flights not awarded in 30 days, but have claimed in the ten days after and they have always been paid out. It is a total pain, and probably not worth the hassle for a small amount of avios. Note they only pay avios on the actual cash fair component of the ticket price, not taxes fees and charges. My GLA – EMA next week was only £34.00, so not sure how many avios i’ll get for that ! That is indeed what the T&Cs say. I have claimed after the 40 day window (you can’t even enter a claim before 30 days) and received the points without fuss. I made the case that the points were promised as part of the booking and as it was their failure to fulfil the promise they were not in a position to impose ridiculous timescale constraints. It’s a very poor arrangement, but keep looking at your balance, and in numerous months time, it might turn up. Happened to me. OT – just earned his ‘n’ hers free Hilton night certificates from the Hilton Barclaycard. If we book a room and then need to change it is this possible (within the validity of the vouchers)? Thanks. Yes, it’s the same as booking a room using points. You get the same terms. Be aware that these can vary from hotel to hotel – one I booked recently wanted 30 days notice to cancel a redemption, another the day before and the worst was one that was not cancellable (that was in a busy week where outside of that it was a more normal policy). Phone Hilton to book them if they’re from separate accounts. Is the Cruz thing going to be Israel specific to BA or does it have more of a general slant? Wonder if all the food will have been enhanced away, the article makes no mention of it! He was in Israel recently so he will probably recycle some of that along with general comments on how great things are. Rob’s correct – there will be talk about Innovation (the primary purpose for his Israel trip) and a bit of general about BA and also touching on the TLV route. AND, as it’s a UK Israel Business event rather than BA, there will be food in the form of a light breakfast :-)! Ok but will Cruz actually be taking any questions from the floor or not? I went all the way from the Windsor area to Nottingham in February last year specially for a presentation by my then Android mobile manufacturer Huawei (Honor 4X, at the time the only Dual SIM phone specifically intended for UK import and sale) but firstly the food was utter rubbish (for a 3 hour long presentation/event in a hotel starting at 7pm) and then the hosts decided to follow the policy of their own National Government (Chinese) by refusing to take any questions at all from the floor the end of a very long and boring set of presentations (about their new Honor 5C model). It seems any questions would have had to be pre-agreed in advance……. Regarding UK Israel Business it does strike me that £30 is high for just breakfast (I would have expected no more than £15) and the final decider for me is probably that I would have to pay full return fare on the train travelling before 9.30am so a train cost around £15 higher than Off Peak (for only a 30 mile return journey). On the other hand I’m out here in Spain currently to where I travelled on my first BA Hand Baggage Only fare and there was a near riot by passengers when about 50 minutes in to the flight we were told that due to a “loading error” (there had also been a last minute equipment swap from a scheduled A320 to A321) there were no alcoholic drinks and no cold food at all available. Only tea or coffee or hot food. I have only ever previously experience nonsense like this with Easyjet announcing that no sandwiches had been loaded for that flight. So clearly Cruz is desperate to make the whole experience just like Vueling. In addition the clapped out old backup plane stock A321 we were on didn’t have any screens to show us the route or provide in flight entertainment as well of course as no wifi. Final straw for me was when I checked in 23 hours before departure and tried to change my free pre allocated seat from 31C (I have a set preference with BA Exec Club for a window seat that they always honour for either Avios or other cash fare bookings) I was told it was going to be £13 for the privilege yet at the same time the web page involved had a message saying there was no charge to change a seat less than 24 hours before departure. But it was quit impossible to complete the seat change without paying £13. So apparently Hand Baggage Only is a new Steerage class where you are automatically consigned to the back of the plane and your normal BA Exec Club seat preference is also specifically and deliberately ignored in order to punish you for not paying the extra (an absurd amount of money to choose a seat in short haul Economy) . I must say that with no food, no tv with route display, no wifi and also chucked in a seat not of my choosing it now felt just like I was travelling on Easyjet out of Heathrow and I lost all the good feelings I used to have about BA in Economy when I got my free G&T and sandwich or wrap. So anyway I guess its kind of appropriate that UK Israel Business is charging for admission to see Cruz but only giving us a minimal food offering……………………..
Just seen the price is £30 plus VAT (so actual £36) so definitely can’t justify £60 or more in total with the rail and tube fares just for the opportunity to throw verbal rotten eggs at Cruz. However I hope those who are at this event for other reasons will also give Cruz a hard time about there being no free food or drink in Economy flying out to Israel with BA. So Innovation is turning an airline customers are reasonably happy with out of an airport they also prefer in to just another Me Too low cost airline they have no positive feelings at all about. So I have a feeling that whatever Cruz has planned for our Avios points will also turn out not to be good for us either. Does this apply to Card Holder only or anyone who is booked to travel using card? I am going to use the card for a distant relative but just trying to see if they will be covered for any travel related claims. Isn’t it family insurance? If so, I would have thought spouse or partner and kids only. Will be in the definitions section of policy document. Why not issue them a free supplementary Gold? Then they are covered. O/T – does the Amex Gold to Plat upgrade take place instantly (assuming the approval is instant)? I have just triggered a 20k bonus and have £1k of spend for holidays which I would like to do this weekend and make it count towards the Plat upgrade spend target…thanks! Yes, if approved your gold changes to platinum online and any further spend counts as platinum, even before physical card arrives. If you have companion or supps to gold best to cancel before upgrade so you can get yet more bonuses by adding them later. with respect to the avis – virgin 5500 extra promotion that ran a month or so ago – I made a qualifying rental and the base points have been posted for about 2 weeks but the bonus hasn’t yet shown up – does anyone have experiencing with chasing this up succusfully and how they managed it? My bitter experience suggests you will have a months-long struggle, at the end of which your heart will be full of hate towards Avis customer “service” and your account NOT full of the points you are due. Add to this random availability of “guaranteed” upgrades and you may begin to see why I used to be Avis PC but am now Hertz PC (and happily so) !